This is my personal Korres make-up artillery. Along with liquid eyeliner - which Korres doesn't carry - these are my few absolute essentials. I feel compelled to confess a couple of things though. First, if you have been reading my blog for a while, you probably know that I'm not really a cosmetics person. I mean, half the time I leave the house completely bare-faced (today is one of those days actually), I skip the make-up section in magazines and I really find cosmetics stores claustrophobic. Hell, I never even paint my nails. All that doesn't mean I hate make-up. I just don't feel compelled to use it all the time and I treat shopping for it the exact opposite way I treat shopping for clothes and shoes, meaning I use very few things and only replace them when they run out. Generally the things I use the most are compact powder and mascara. These last couple of years, I have also taken on using blush and I have replaced eye pencil with liquid eyeliner, as I find the clean-cut cat's eyes line more appealing than the smokey effect of smudgy kohl. 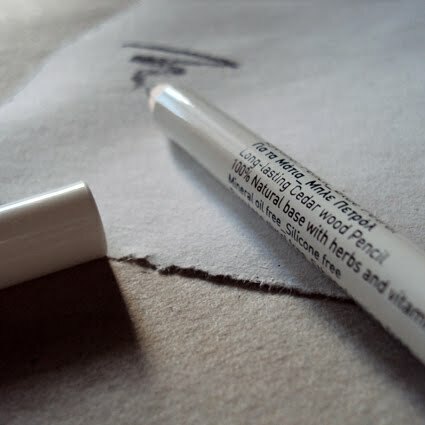 However, when I find a soft pencil in a shade as great as this blue petrol above, I give in. 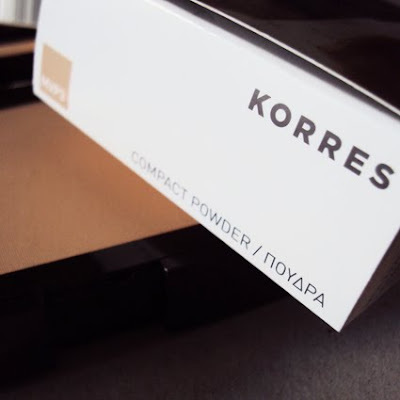 Second, I'm sure many of you are wondering "why an all-Korres make-up bag"? Here is the part where I must admit I actually didn't pay for all these. My mum is a pharmacist and I shamelessly take advantage of that. And I know that's probably a waste of resources for a person who's not that into make-up. Life is unfair, what can I say? i can't wear korres cosmetics ( bad for my skin). 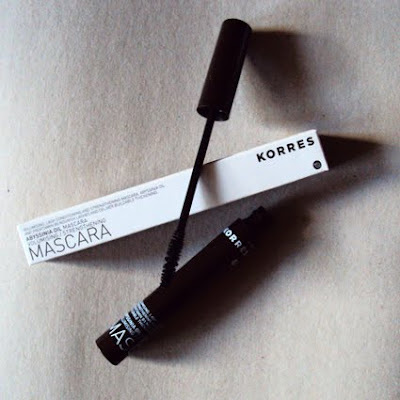 The Korres Mascara is L O V E.
i love korres! !amazing post good info!! congrats on your first ever make up post!! άσχετο αλλά θα πω τον πόνο μου μιας που σου γράφω αλλά σε ζηλέυω! :-P είσαι απο τις κοπέλες που φοράνε τις ψιλόμεσες φούστες και τις υποστηρίζουν και τους πάνε τρελά. εγώ γιατί όταν τις φοραώ φαίνομαι σαν θείτσα? 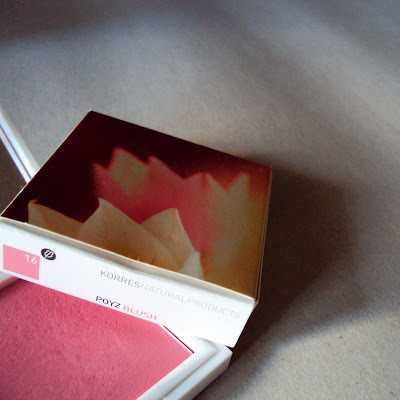 I'm really into Korres and I love their beauty/body products too. I however, have taken advantage of Korres' sale and bought little bits and bobs here and there. 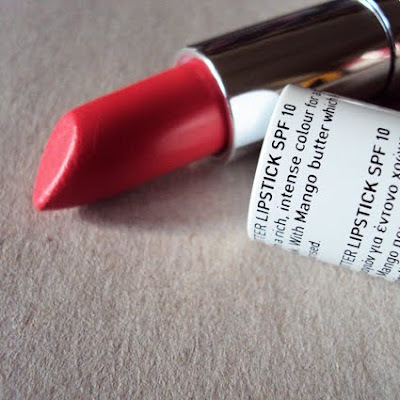 I think you look fab with a dash of red lippy! I'm not that into make up as well. When I want to give a special touch I usually put on some red lipstick, but I must say that, like you, I have some basics (that almost never get used). 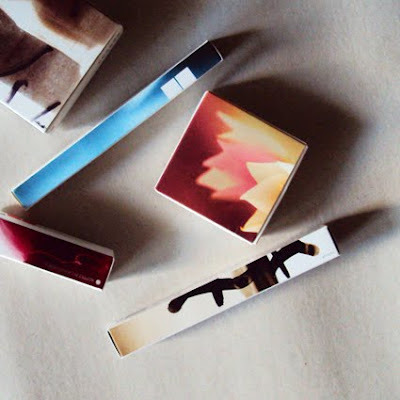 And all of these have some appealing packaging! εχμμ ξερεις πόσο ΔΕΝ ειμαι του μακιγιαζ αλλα για τα κραγιον Κορρες τα έχουμε ξαναπει...και απ όσο θυμάμαι απο παλιες φωτο σου πάει κι εσένα πολύ η φουξια απόχρωση. You're lucky! I love that blue colour too but can't wear it. Korres is the only brand I seem to have an allergy to! Teal and red eyes? Not so hot! 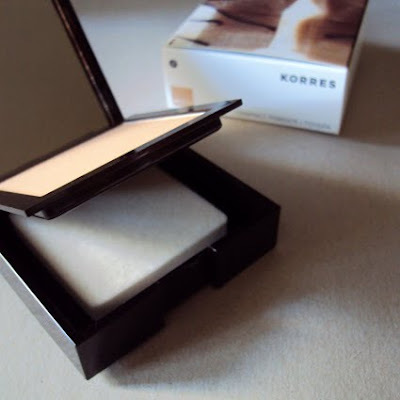 I have tasted many korres products. I think it's the worse brand -quality speaking- i've ever put on my skin.. plus the whole 'natural products' thing doesn't make any sence..chemical is a word they have to put on the packaging! in my opinion, they have brilliant marketing and that's all! (personally, i'd suggest you nuxe for the cosmetics and avene for the creme care..)but of course every skin is not the same, plus every person is 100%subjective..
Λόπι Λόπι το φρέσκο σου προσωπάκι μη το μουτζουρώσεις με Κορρέ! Τα χειρότερα προϊόντα που έχω χρησιμοποιήσει ποτέ... η πούδρα σαν αλεύρι και το μολύβι άνετα σε κάνει κλόουν! Θα συμφωνησω με anonymous και joanna addicted. Ειμαι make up junkie και μα τω Θεο είναι άθλια.Τουλάχιστον μη διανοηθείς να βάλεις κρεμα ημέρας/κρεμα ματιων η οτιδηποτε τετοιο γιατι θα σου κανει δερμα κροκόδειλου. You are way too preetty μεινε μακρια.